Some might be surprised that, in today's Hollywood climate of sequels, remakes and reboots, there has still not been a new revamped version of Back to The Future, which celebrates its 30th Anniversary this week, since the movie hit theaters on July 3, 1985. 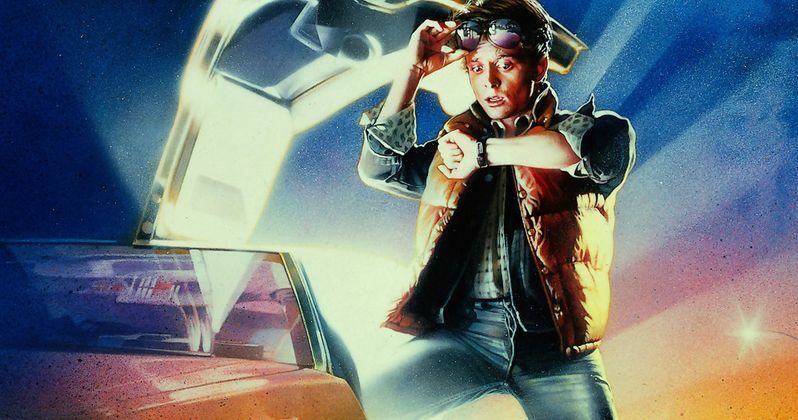 As it turns out, Universal Pictures actually can't remake or reboot Back to the Future without the permission of director Robert Zemeckis and screenwriter Bob Gale, who both retain the rights to the original film. During an interview with The Telegraph, Robert Zemeckis revealed that a Back to The Future remake will never happen while both he and Bob Gale are alive. Here's what he had to say when asked if he would ever sign off on a remake. "Oh, God no. That can't happen until both Bob and I are dead. And then I'm sure they'll do it, unless there's a way our estates can stop it. I mean, to me, that's outrageous. Especially since it's a good movie. It's like saying 'Let's remake Citizen Kane. Who are we going to get to play Kane?' What folly, what insanity is that? Why would anyone do that?" The original contracts both Robert Zemeckis and Bob Gale signed with Universal Pictures and Amblin Entertainment give the director and writer final say on any Back to the Future movies until they die. The director did admit that the Back to the Future remake would probably be a success if it were to happen, given the devoted fanbase for the franchise, but he also said that he couldn't see it happening without Michael J. Fox, who has cut back on his acting work after being diagnosed with Parkinson's disease. Here's what he had to say in 2008 about a Back to The Future movie without Michael J. Fox. "The idea of making another Back to The Future movie without Michael J. Fox - you know, that's like saying, 'I'm going to cook you a steak dinner and I'm going to hold the beef.'" Thankfully, it seems that a remake of Back to The Future won't be happening for quite some time, but there could come a time, several years from now, when Robert Zemeckis and Bob Gale have passed, and the studio has the right to work on a remake, unless their estates can stop it. Are you glad that there is no Back to The Future remake happening quite yet?